BRUSSELS (Reuters) - The European Union will not allow models of the Boeing aircraft that crashed in Ethiopia to fly in its skies until it has received sufficient guarantees from the U.S. planemaker, the head of the bloc's aviation safety agency said. 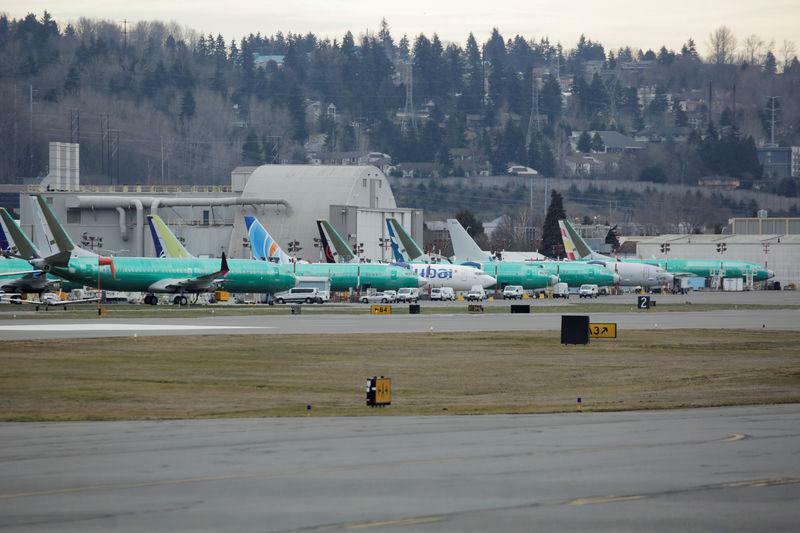 Patrick Ky, executive director of the European Union Aviation Safety Agency (EASA), said EASA would look "very deeply" at Boeing's software updates and study all the failure modes of the Boeing 737 MAX - the aeroplane type grounded in Europe last week after one of the models crashed in Ethiopia on March 10 killing 157 people. "I can guarantee to you that on our side we will not allow the aircraft to fly if we have not found acceptable answers to all our questions on that," Ky told the European Parliament transport committee. He added that EU decisions would be made irrespective of what the U.S. watchdog, the Federal Aviation Administration (FAA), decide on the case.